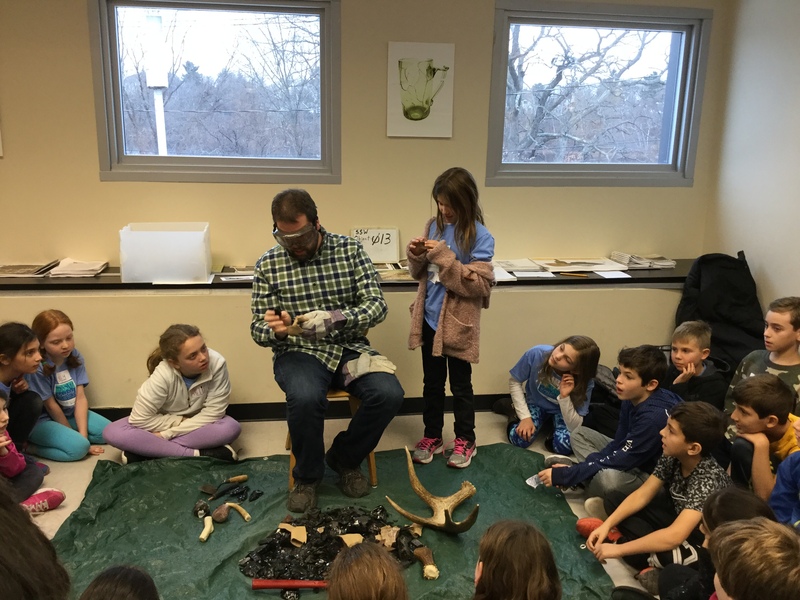 This past Tuesday, our fourth graders visited the City of Boston’s Archeology Lab, in West Roxbury, to have a tour with the city’s chief archaeologist. This trip reinforced one of our social studies “big ideas,” that objects tell stories. This trip came about because fourth graders were so interested in an article we had read in class about a recent archaeological find in the North End that we contacted the City Archaeologist. We were lucky that he wrote back to us and that we were able to meet him and visit the lab. During our visit, we were able to see the very artifacts we had read about being sorted and catalogued. The artifacts and history we had read about in the newspaper literally became real for our students. In fact, seeing a variety of objects — an ancient spearhead, a very old piece of the Native American fish weir that used to lie beneath what is now the Back Bay, some cannonballs from the Battle of Bunker Hill, part of a shipwreck from 19th century Boston and even a piece of parchment with Hebrew scripture from the African American Meeting House when it was home to a Jewish congregation, among others – and learning about them from a passionate expert all made history come alive for our students. Our students saw that new chapters of history get told, at least in part, through the discovery and interpretation of newly discovered artifacts.